Israel Folau has come under heavy fire. Rugby Australia is planning to drop the hammer on Israel Folau and terminate his contract following anti-gay posts by the player on social media on Tuesday night. Since making the posts a wave of backlash has hit the Wallabies star and forced Rugby Australia into severe action with the final nail seemingly being driven in. Folau copped a barrage of criticism after he doubled down on his anti-gay stance with a controversial Instagram post last night. The 30-year-old was slammed for calling on "drunks, homosexuals, adulterers, liars, fornicators, thieves, atheists and idolaters" to repent for their sins or else "hell awaits" them. Wallabies players Samu Kerevi and Allan Alaalatoa have liked Folau's post, but there is no suggestion they condone the message being spread. Folau has a history of making controversial, homophobic comments and his latest effort sparked a passionate backlash as Rugby Australia said its integrity unit will launch an investigation. Major Wallabies sponsor Qantas, which threatened to pull its sponsorship last year following a series of provocative posts from Folau, hit out over the Waratahs flyer's post. "These comments are really disappointing and clearly don't reflect the spirit of inclusion and diversity that we support," a Qantas statement to AAP said. "We are pleased to see Rugby Australia's condemnation of the comments and will await the outcome of their review." Retired England rugby star Joe Marler issued a defiant response to Folau's post. On Twitter, the prop posted a picture of two men kissing followed by a short video of two other men locking lips. Former Welsh rugby captain Gareth Thomas, who is gay, also took to social media to voice his disagreement with Folau. Former Wallaby Jeremy Paul understands Folau has certain beliefs, but can't comprehend why he feels the need to express them in this matter on social media. "You can't bring the game into disrepute," Paul said on Fox Sports program Bill & Boz. "You can't … go out and do stupid things on social media. "I just want to ask the question, what do you want to get out of it? We all know Israel, what his beliefs are and we all understand he's very religious but I just don't understand (why he needs to post this content). "What do you get out of it? "I know he's a lovely guy but I just ask the question why?" Ex-Wallabies forward turned journalist Peter FitzSimons - who has criticised Folau for his views in the past - slammed him again and said Rugby Australia needs to cut him loose. "In the wake of his latest homophobic outburst - gays, among other sinners, are heading to hell once more - Israel Folau has to go, and will go," FitzSimons wrote for the Sydney Morning Herald. "Rugby Australia simply has no choice. They cannot go through one more time the agony of last year when Folau's social media comments trumpeting that gays would go to hell, saw rugby lose sponsors, fans, and support. "Rugby must surely move quickly, or be made to look ridiculous." FitzSimons accused Folau of giving gay people, rugby and its sponsors the "middle finger" and said while he is entitled to free speech, he is not exempt from consequences for the messages he chooses to espouse. Israel Folau has divided opinion again. In a statement, Rugby Australia condemned Folau's latest comments as "unacceptable" and "disrespectful", saying the content of his Instagram post "does not represent the values of the sport and is disrespectful to members of the rugby community". British-based LGBT charity Stonewall also joined the Folau pile-on. "Folau's comments are just one example of how much work is still left to do to combat discrimination and the use of hateful language against lesbian, gay, bi and trans people," Kirsty Clarke, director of sport at Stonewall told PA Sport. "It's important that Rugby Australia have stepped up to challenge Folau's abusive comments. "The more players, fans, clubs and organisations that stand up for equality, the sooner we kick discrimination out and make sport everyone's game." The reaction on social media was equally as fierce. On her Instagram story, Matildas star Sam Kerr called Folau's position "embarrassing" and wrote: "Australia, we should not let athletes or ANYONE preach this hate in our country." Jason Ball, an Aussie rules footballer who came out as gay in 2012, was also among those to slam Folau on Twitter. Comedian Lawrence Mooney was another who ripped into Folau on his Triple M breakfast radio show Moonman in the Morning. "Israel, homosexuality is not a sin. All you're doing is making life difficult for people born a particular way - people that don't need your hate," Mooney said. But there's more than just an argument about religion and lifestyle at stake with Folau's scandal. His Wallabies career is now uncertain just five months out from the Rugby World Cup. 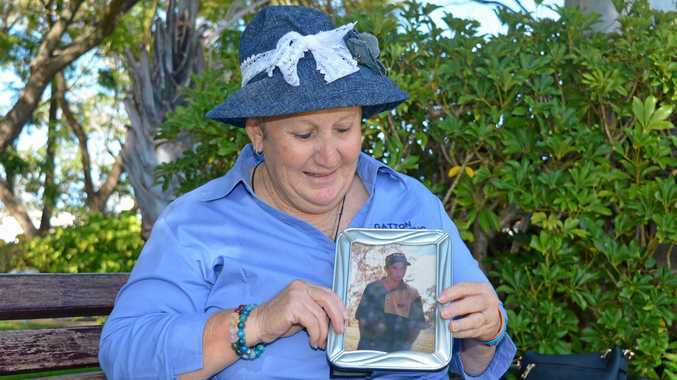 Folau had already tested the patience of RA boss Raelene Castle with a series of homophobic posts last year, most notably one that said "God's plan" for gay people was "HELL". The three-times John Eales medallist was warned but not sanctioned by Castle after defiantly threatening to walk away from the game if his strong Christian beliefs were compromised. 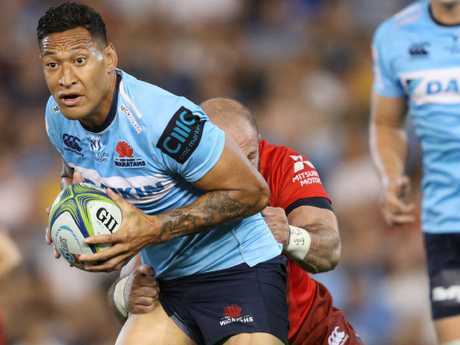 It is barely two months since Folau signed a new multimillion-dollar contract extension to remain with the NSW Waratahs until the end of 2022. 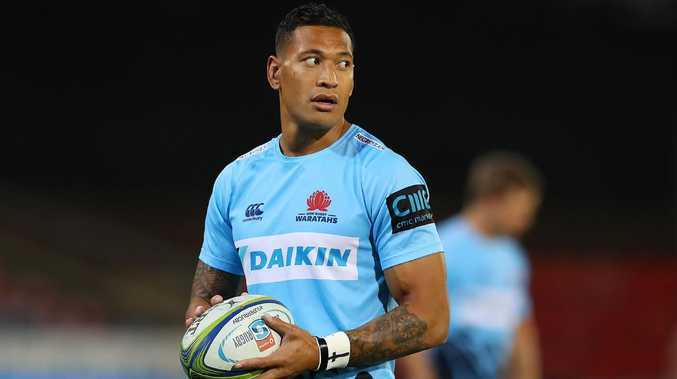 It was not specified if the deal with the Waratahs and Rugby Australia, which strongly promotes inclusion, has a clause restricting Folau from making provocative social media posts, but earlier this year the Sydney Morning Herald reported there were "beefed up social media protocols" Folau would need to adhere to. If he's found to have breached his contract, there's a chance Folau could be sacked. The latest episode in the saga is the last thing Wallabies coach Michael Cheika needs from his premier back in a World Cup year. Champion flanker David Pocock is already under a huge World Cup fitness cloud having played minimal Super Rugby this year as he battles a career-threatening neck injury. On top of that, having RA tear up Folau's contract five months out from the global showpiece and leaving the Wallabies with the grim prospect of being without their two best players in Japan would leave Cheika's plans in tatters. But that's now a real possibility after the Wallabies' biggest sponsors, Qantas and Asics, threatened to walk away last year before Folau was first hauled over the coals.